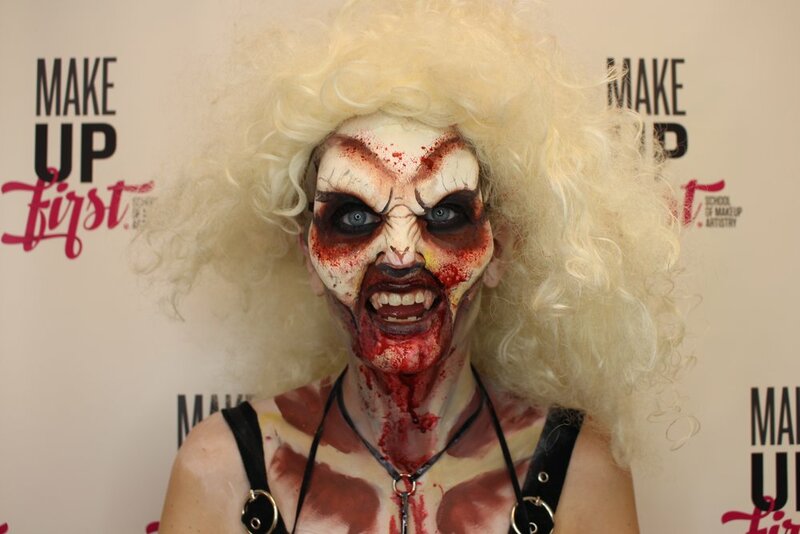 Spotlight on SFX Artist Tom Devlin! 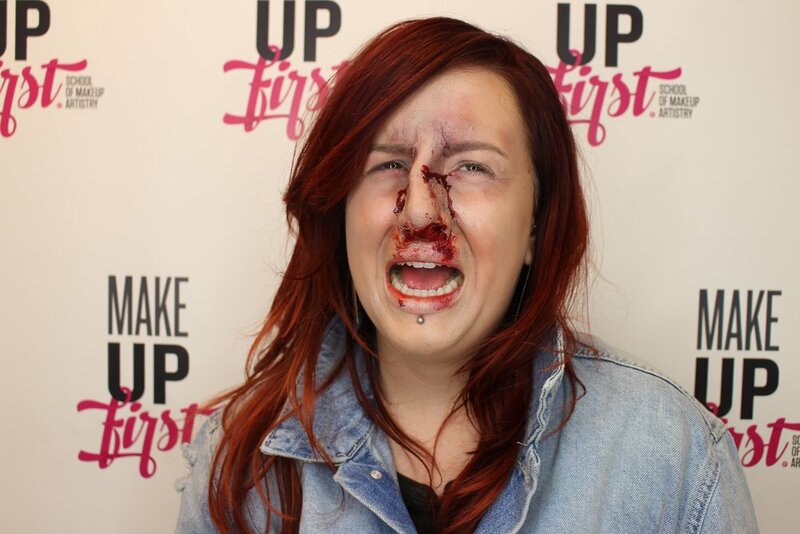 Make Up First® is proud to host Tom Devlin for the upcoming Special FX Workshop September 22nd-24th. 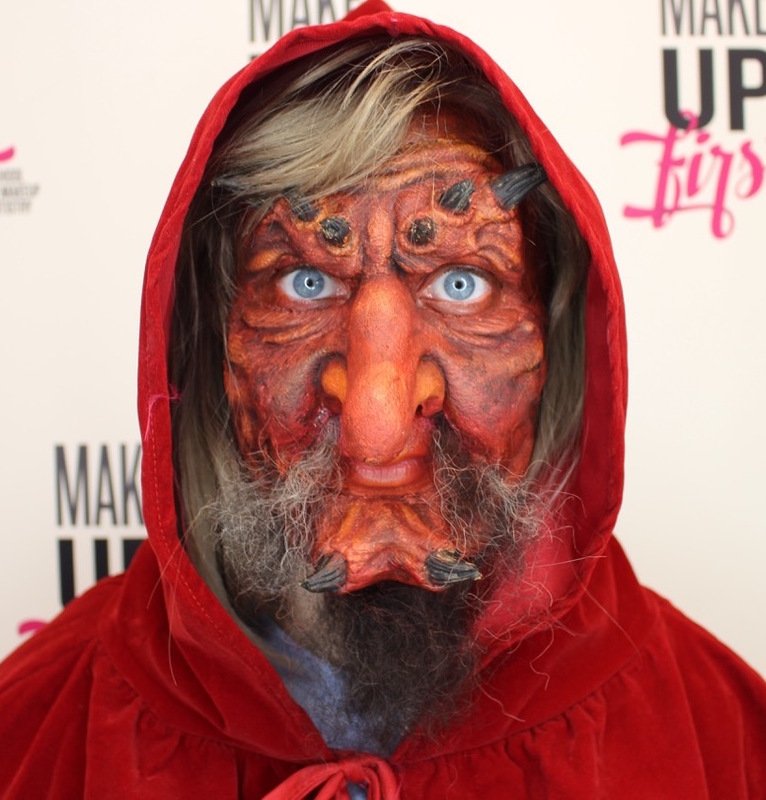 Tom has been working professionally as a special makeup effects artist for over 17 years. Through his company 1313FX, Tom has provided creatures and special makeup effects for over 100 feature films, working with many of the actors and directors who inspired his path. In 2011, Tom appeared as a contestant on Season One of the SyFy reality series "Face Off". He quickly became a fan favorite with his winning horror villain "Teddy Told Me To", a terrifying take on the teddy bear. In addition to his work in film and television, Tom has created a line of Halloween masks for the Haunted Attractions industry. He sells his creations to some of the most well-known haunts across the country. We are excited and honored to have Tom Devlin teach our Special FX workshop. 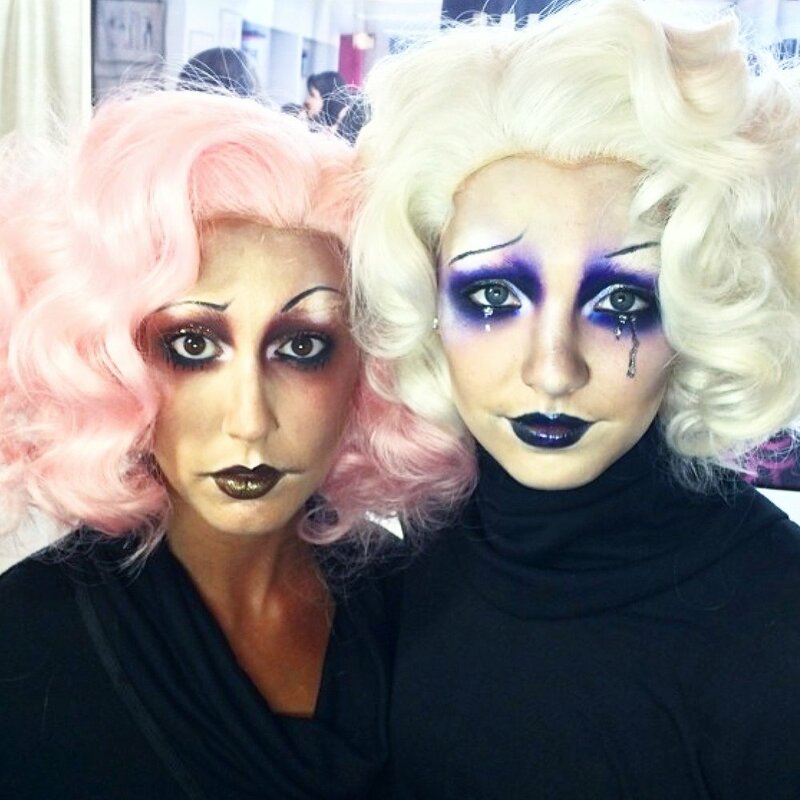 October is a profitable time for makeup artists and knowledge of theatrical makeup is a must. Don't miss out on our upcoming Advanced Theatrical Course and Special FX Workshop featuring Tom Devlin! This course can be used as 16 hours towards Continuing Education. Make Up First® is an approved sponsor under the IL Barber Act. Multi-day prosthetic workshop: molding, creating, painting and applying silicone and/or latex prosthetics. 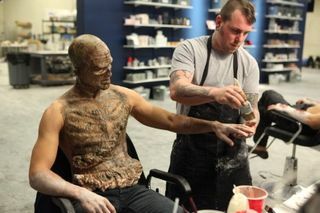 This class will be taught by Tom Devlin, Special FX artist and contestant on SyFy's Face Off, Season 1. Since 2001, Tom's company, 1313FX, has provided makeup effects on over 100 film and television projects. He has created custom masks for some of the biggest haunted attractions in the US, and even appeared as a contestant on season one of the SyFy reality series "Face Off". Create and take home your project just in time for Halloween!! From Mini Mondays to Guest Artist Workshops, August and September are jam packed with all your education wants and needs! Multi-day prosthetic workshop: molding, creating, painting and applying silicone and/or latex prosthetics. All materials will be provided! This class will be taught by Roy Wooley, Special FX artist and contestant on SyFy's Face Off. 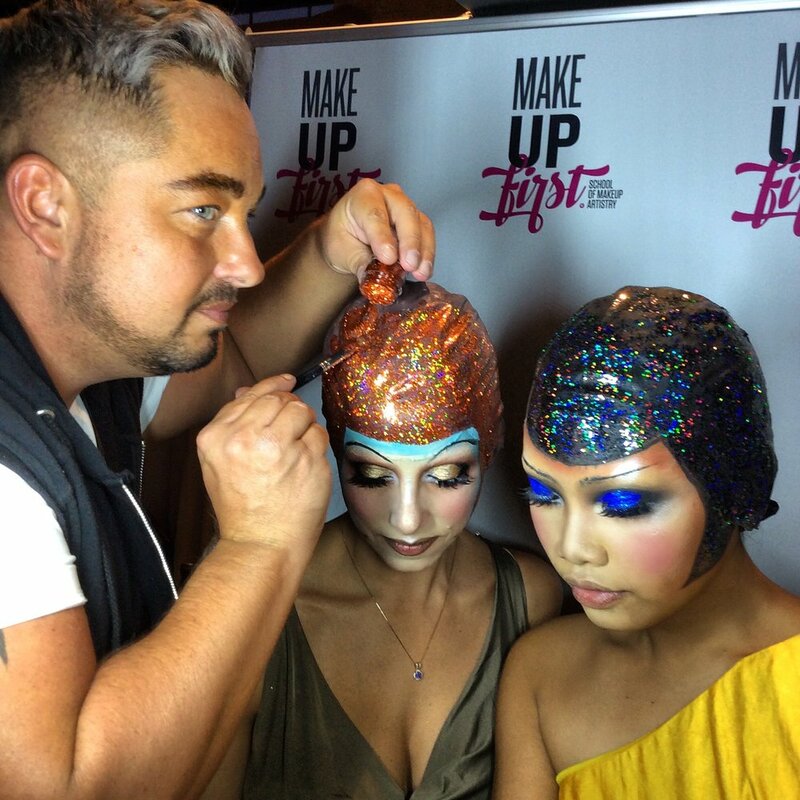 Have you attended one of Make Up First® School of Makeup Artistry's Mini Monday Workshops? These workshops are held once to twice a month, 2 hours for just $25...demo-based and always a different topic! Open to both pros and the public. This is eligible for 2 CE Hours under the IL Barber Act. 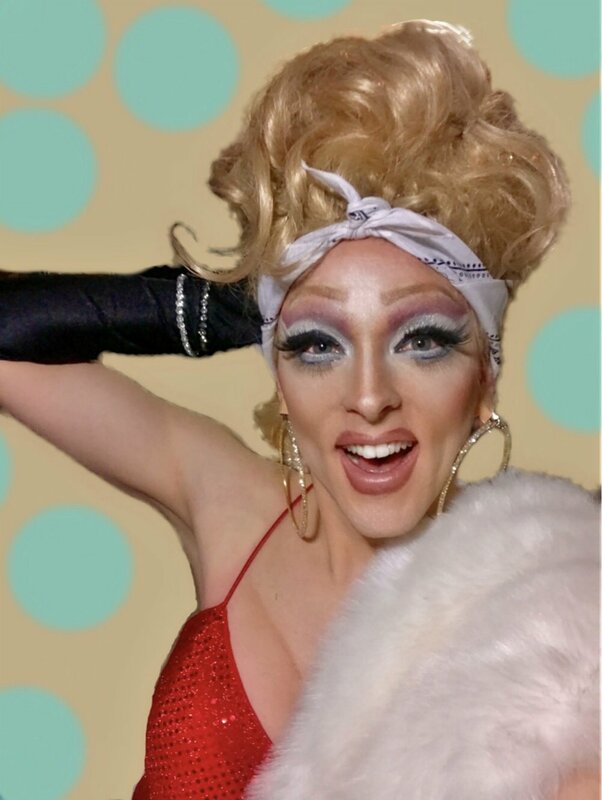 This class will focus on the art of Drag Makeup and the many interpretations of drag styles. 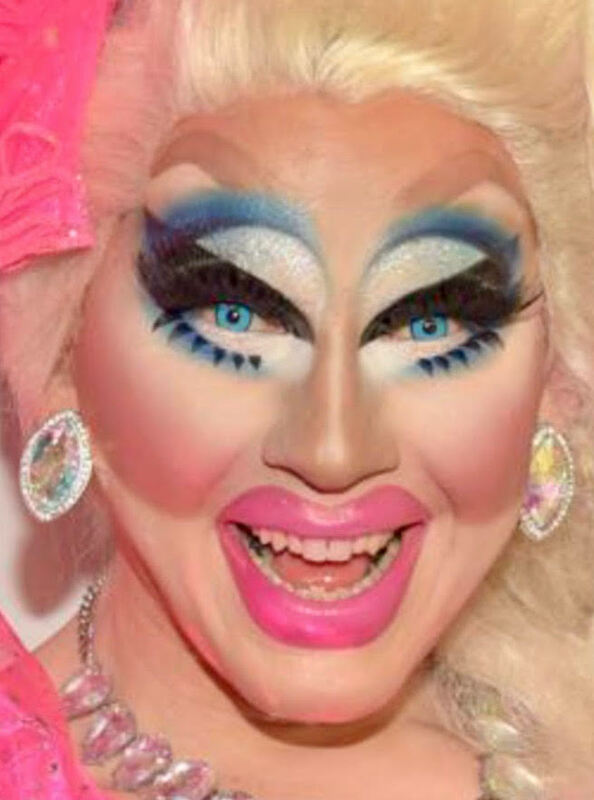 Make Up First® graduate, “Thirsty Alley” demonstrates application techniques to create their avant-garde take on drag makeup! 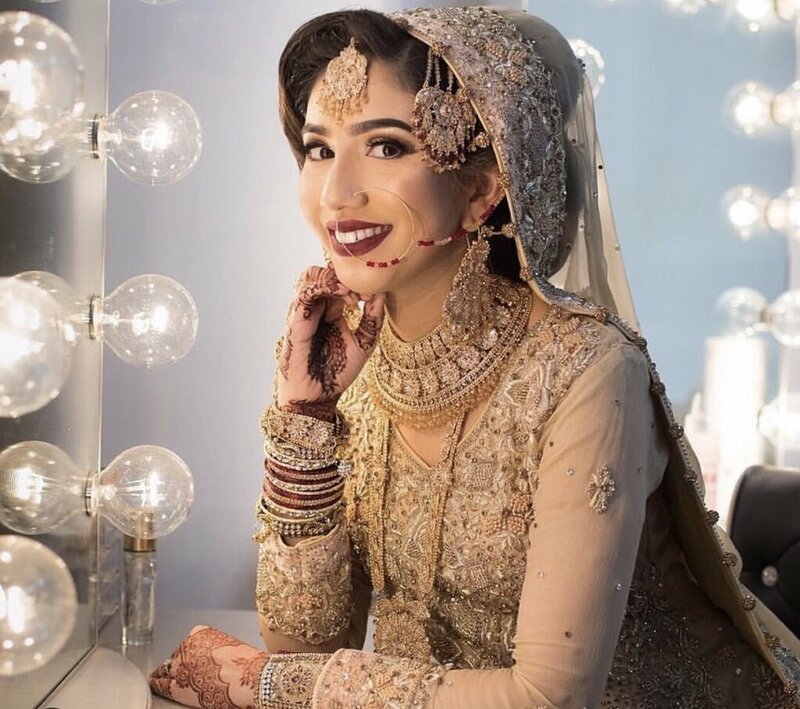 Professional Makeup Artist, Sana Rehman, demonstrates a classic South Asian Bridal Makeup Application! Cut Crease, Winged Eyeliner, Smokey-Eye, and Full Lashes. 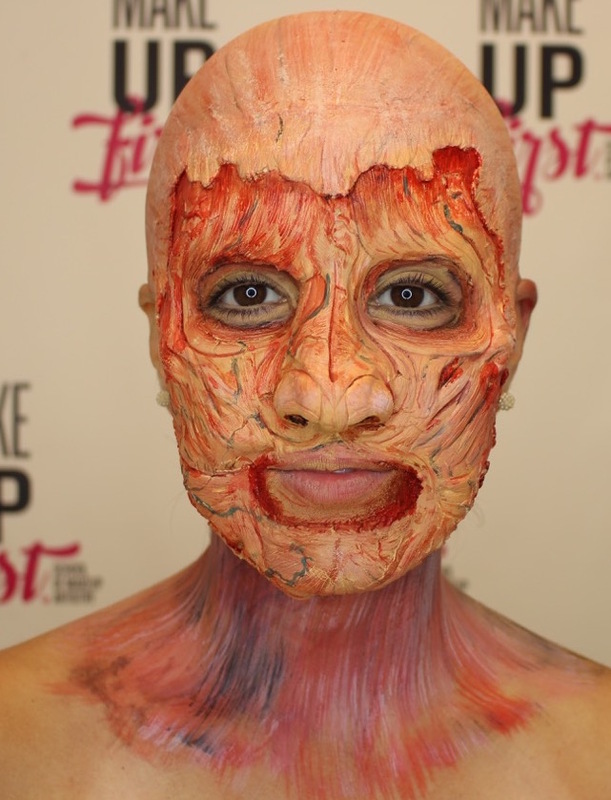 This class will focus on theatrical makeup with prosthetic makeup applications! It's Lollapalooza week here in Chicago! We will be seeing our streets filled with seas of shimmer and glitter on everyone's face and bodies. 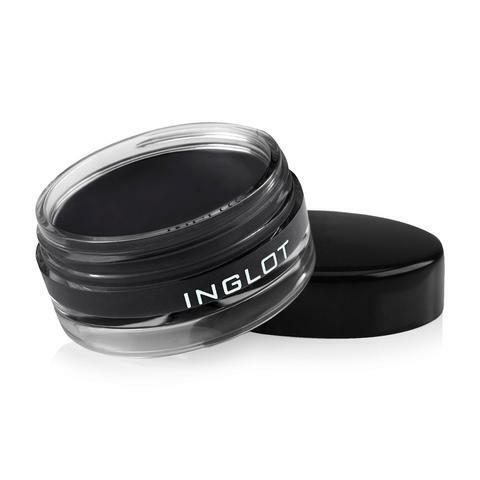 Check out a NEW product from Inglot to get the look! 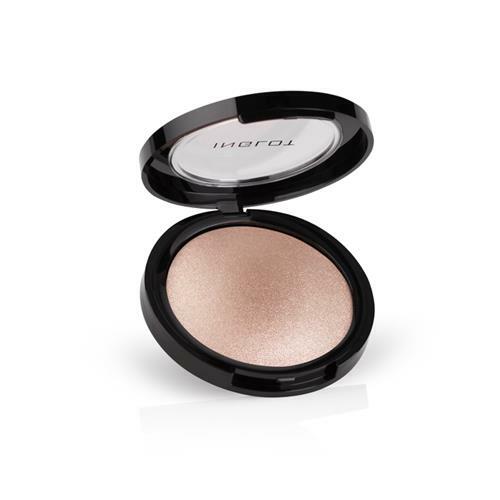 Face, Eyes and Body Highlighters. These brilliant, baked 'Sparklers' are for face, eyes and body containing shimmering particles. 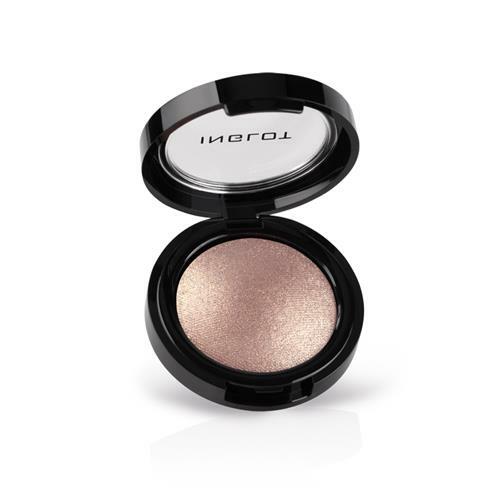 Illuminates and adds glow to your skin. 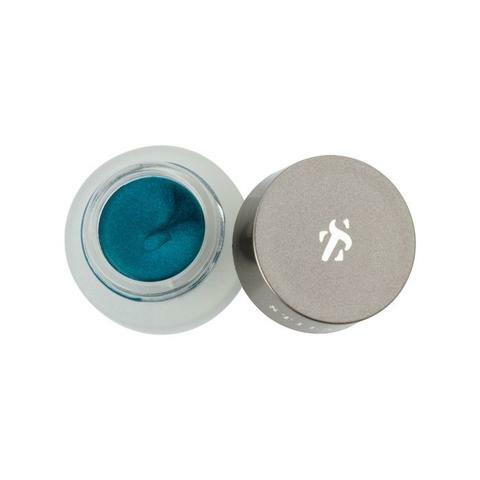 Perfect for natural makeup or a bold look, depending on the application. 'Sparklers' are available is INTENSE, MEDIUM and SOFT finishes. Try adding Inglot's mutli-tasking product Duraline with any of these for a chrome-like finish! CLICK TO SHOP YOUR FINISH BELOW! 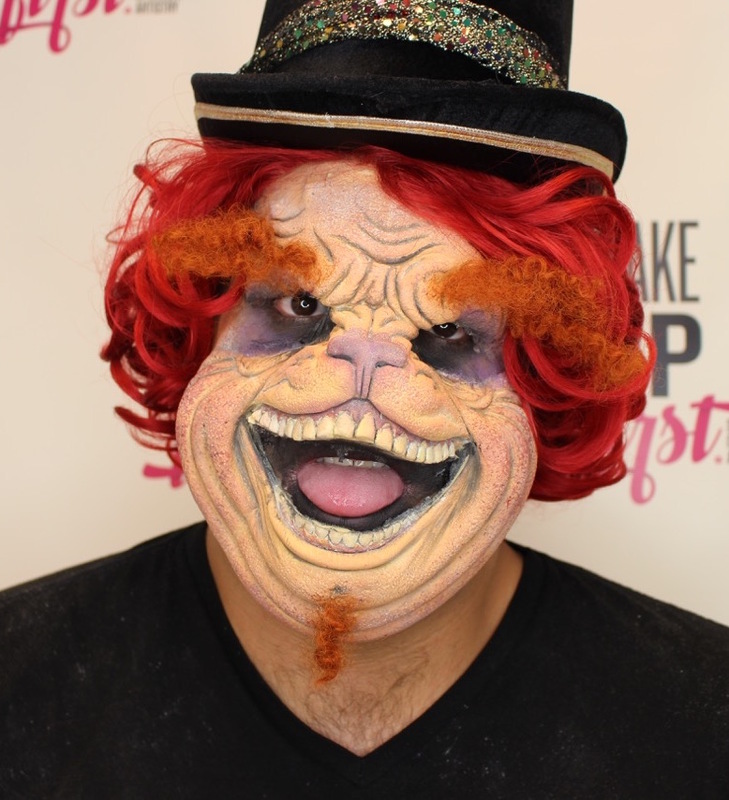 Known for his 'out of the box' avant-garde looks, International Celebrity Makeup Artist, Roshar joins Make Up First® School for the 5th time for his 2 Day Workshop. 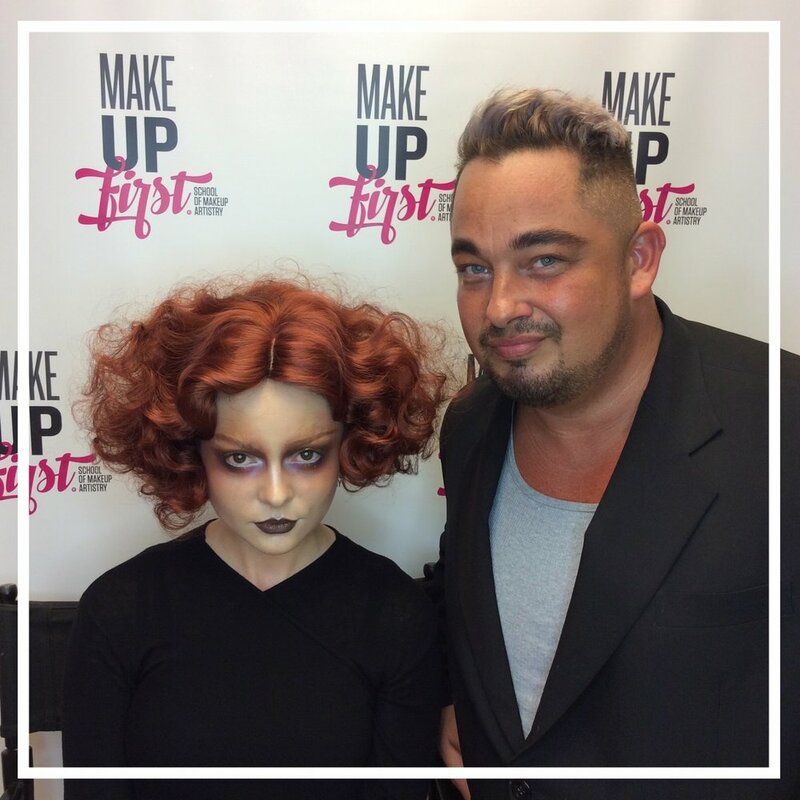 On Day 1 ROSHAR will be demonstrating his avant-garde/editorial makeup creations. Don't wait... the registration deadline is August 3, 2018 at 11:59pm CST! 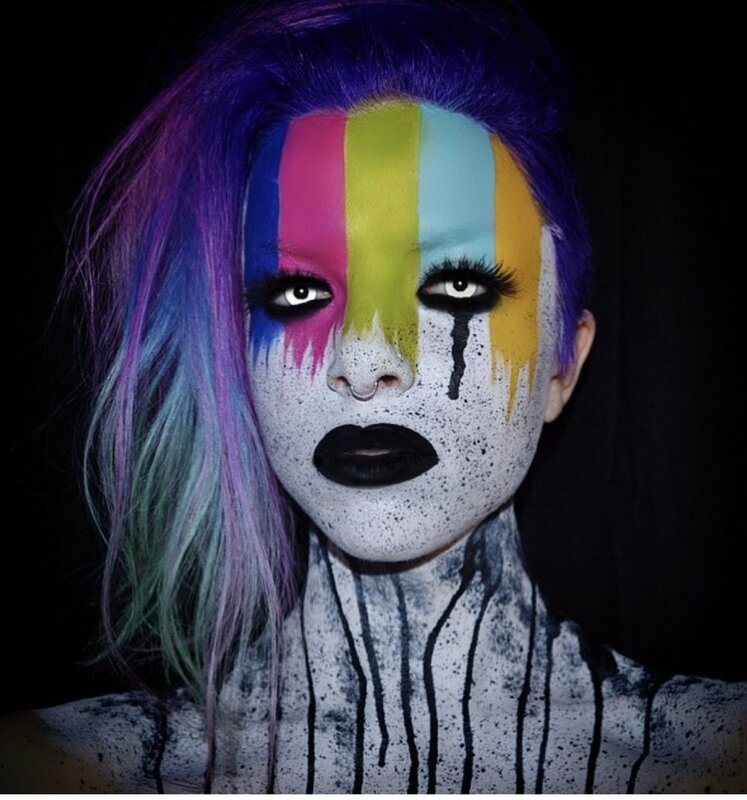 GET TO KNOW OUR GRADS: MACKENZIE "ZEE"
Mackenzie (“Zee”), a state-licensed cosmetologist, began her makeup career at Sephora as a Color Specialist. After receiving her Certification of Completion from Make Up First School® in 2010, she began to pursue makeup as a full - time freelance artist/ hair stylist. In the late summer of 2016 she moved to the New York City television market to freelance with the international news channel CNN as well as The Wall Street Journal among others. However, Zee continues to maintain clients in Chicago as well. In the last ten years Zee has made her mark in the Chicago/Los Angeles/New York City markets with clients such as Jay-Z, Bill Gates, Richard Branson, Orlando Bloom, Emily Ratajkowski, William Shatner and Charles Barkley. Zee's work has been featured across multiple forms of media including but not limited to Film/Television (CNN, Netflix, MTV, WGN, TLC) Magazines (TIME, Glamour, Sports Illustrated) Advertisements (Walgreens, State Farm) Fashion and Red Carpet Events (Oscars, CNN Heroes, NYFW). Zee continues to teach our Careers Course, sharing her journey and expertise. The easiest and quickest way to alter a face is to simply apply color and/or texture to the lips. A great lip color will brighten not only the smile, but also the entire face. The key to creating a beautiful lip is creating a mouth that contributes to the overall harmony of the other features and shape of the face. Makeup artists can create subtle changes by use of a lip pencil, and a variety of textures to manipulate the shape of the lips. 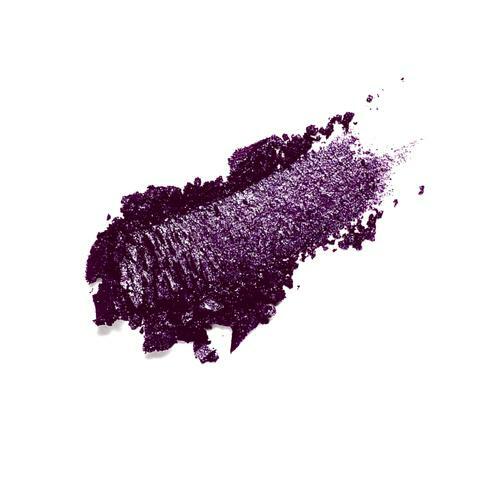 The texture of the lip products may be matte, creamy, iridescent, glossy or pearlized. It is best to work with richly pigmented lip products; the makeup artist will have more flexibility; the lips can be kept deeply pigmented, or the lip product can be opaque sheered down, or gently applied on the lips with a dab of the fingertip for a softer effect. In addition, with intensely saturated lip color, there is less chance that the product will move. Layering color will make the lips look fuller and create the impression of depth and volume. 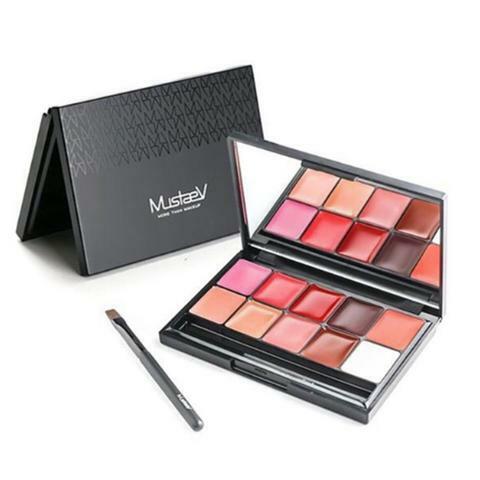 In short, the selection of the lip product color and texture, together with the shape defined by the artist, will dramatically alter the appearance of the lips and, therefore, the face. In various corrective lip techniques, the makeup artist may first choose to use concealer or foundation, and then set with powder, to create a new palette on which to better define the lip shape. Full Lips: In order to deemphasize the full, symmetrical lip, the makeup artist may also choose to use a neutral lip pencil and draw within the lip lines to make the lip look smaller. Conversely, to create full lips, the makeup artist may also choose to use a neutral lip pencil and overdraw the lip lines to make the lip look larger. The use of gloss and/or a bright, heavily saturated lip color will make the lip look more prominent. Small Lips: The use of gloss is key in creating the illusion of a larger lip. The makeup artist should first, using a natural-tone lip pencil, draw the lip lines slightly outside of and wider than the natural lip lines until desired fullness is reached Deeply saturated color and harsh lines should be avoided but gloss is recommended to enhance the enhanced lip shape. Thin Lips: Similar to small lips, correction involves drawing just outside of the natural upper and lower lip lines and adding a gloss. The lip pencil should correspond to the lipstick color and be applied symmetrically. Lip products in red, or in light to medium tones may be used to create the illusions of larger lips. Uneven Lips: The most challenging correction will be on those lips that are not even or symmetrical. In this case, the makeup artist may first wish to cover the lips with foundation and then set with powder. With the use of lip liner, the lips may be redrawn. The artist may first correct whichever side is uneven to match the other side; i.e., draw the even side as is, while the other side will have to be drawn to match. Downturned Lips: In order to give the mouth a “lift”, the makeup artist should avoid sharply defining the outer corners of the lower lip. The lip line can be filled in accordingly, but the focus on the outer corners of the lower lip line should be minimized by even adding concealer and drawing the lower lip line up. Mature Lips: For the lip line, the lip pencil in a neutral tone is used to draw a cupid bow at the top center of the upper lip. The lines from the bow’s peaks should be drawn naturally curving down. A natural curving line, directly under the Cupid’s bow, should be drawn in order to better define the lower lip line. This article may not be reproduced or copied without the express written consent of Make Up First® School of Makeup Artistry. It’s sunny, humid, and hot. Don't want your makeup to melt? There are a few tricks that pro makeup artists use to ensure long-lasting makeup even under the most extreme temperatures! Use a mattifying product to prevent the skin from looking shiny. No need for heavy foundation and powder. Instead, opt for a BB or CC cream with SPF. You can also use an oil free moisturizer with SPF. If more coverage is desired, add a light, silicone-based foundation; silicone is melt-proof and water resistant. Since the silicone makeup won’t move, the face will not require any set powder, and the skin will retain its dewy glow. As for the eye makeup, we all know about waterproof mascaras. However, now waterproof eyeliners that contain a silicone-derivative so that the makeup won’t fade. If there is makeup added to the eyebrows, use a mousse or pomade for staying powder. For the lips, using highly pigmented liquid lip product will ensure that the lips will stay intact throughout the hot day. You may also choose to add an alcohol-based setting spray over your foundation/powder as well. Face: FACE atelier Foundation, Kevyn Aucoin - The Sensual Skin Enhancer (use as a concealer, or sheer it out with your moisturizer for a custom foundation). Seal the deal: Try Cinema Secrets Super Sealer Mattifying Spray, lock in your look with this all-in-one makeup primer and setting spray. The lightweight anti-shine formula can be used under and/or over makeup to lock powders, liquids, and creams into place. Perfect for high humidity climates. 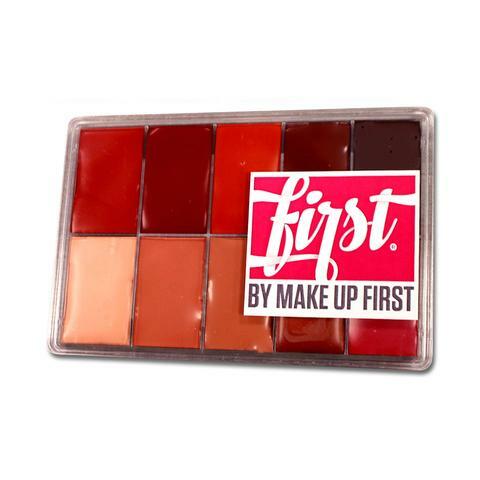 For questions on products or upcoming classes, please email info@makeupfirst.com or call Make Up First® School of Makeup Artistry 312-621-0801.
new products Perfect for your Festival Look! 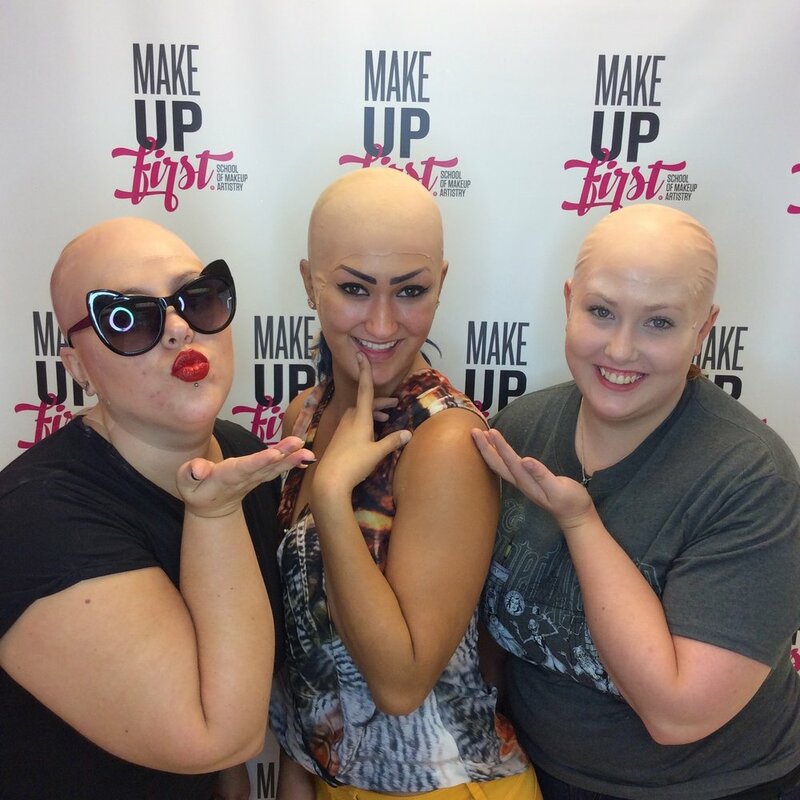 Join Make Up First® as we demo Festival Trends! 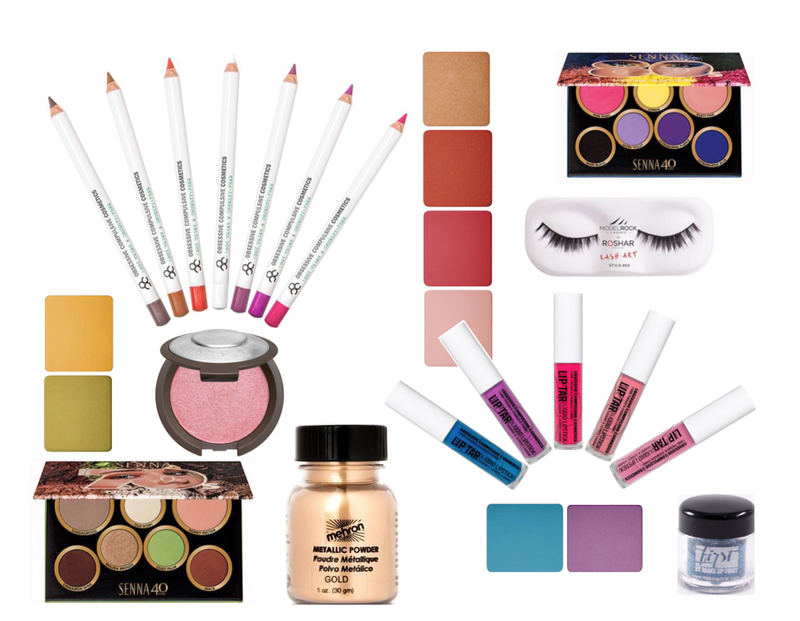 This class will focus on current Summer trends, makeup applications, and more! We will also focus on airbrush techniques! A complete soap-free facial-body-hair formula for gentle cleansing. This generous, fresh and delicately fragranced foam is easily rinsed to leave skin toned, soft and moisturized, and hair supple and shiny. Consider multi-use products such as Embryolisse Men’s Energizing Shower Gel, an all in one, facial-body-hair formula created for gentle cleansing. In a single step, skin is soothed and moisturized, pores are tightened and redness is removed thanks to its cocktail of natural active ingredients. An ultra-penetrating gel emulsion with a woody, minty scent leaves the skin supple, soft and energized. After facial shaving, be sure to use Embryolisse Men’s Aftershave Balm, which will soothe, moisturize, reduce redness, and calm the skin —all in one single step! 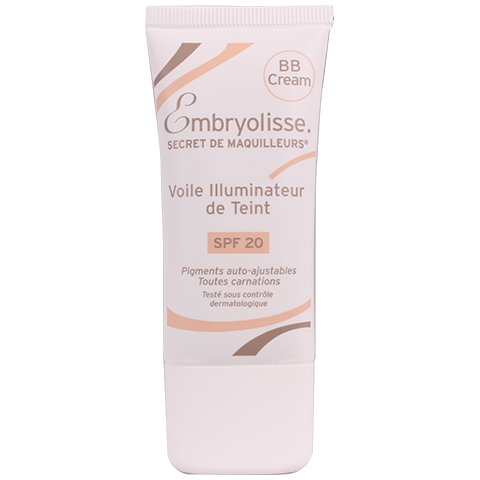 This product has been uniquely formulated to matte the shine of oily skin. Antishine is great for men's palms, foreheads and balding scalps. 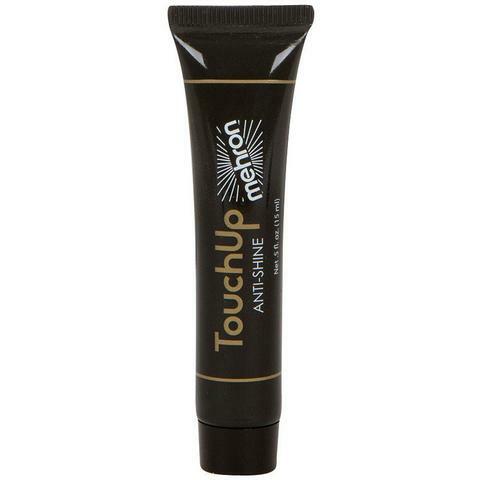 A repairing, nourishing and soothing treatment that restores dry, chapped lips. 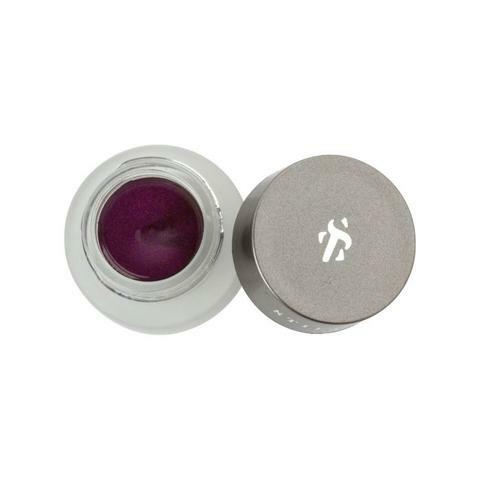 Its highly nourishing active ingredient, Shea butter, biologically repairs and regenerates weakened lips. The Bioderma Sensibio H2O cleansing dermatological wipes will gently remove any pollution and unwanted debris. Nourishes, softens, and smooths skin. 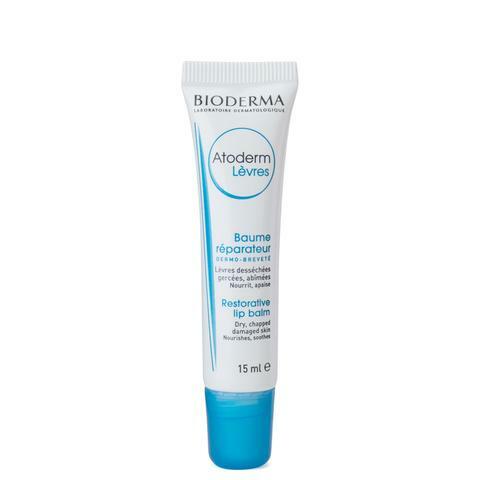 THE MAKE UP FIRST® PRO SHOP IS EXCITED TO ANNOUNCE NEW BIODERMA PRODUCTS! SOUTH ASIAN BRIDAL WORKSHOP ON MONDAY, JUNE 4TH! NOT TO BE MISSED! We are excited to have Professional Bridal Makeup Artist, Sana Rehman, demonstrates a classic South Asian Bridal Makeup Application! This special Mini Monday Workshop Series class will focus on dramatic eyes, bold lashes, as well as a traditional full-face application! Eye Techniques will include: Cut Crease, Winged Eyeliner, Smokey-Eye, and Full Lashes.